A sign attached to a boulder on the Grace Peak summit raises objections. I have been a reader and subscriber to the Explorer for a number of years. 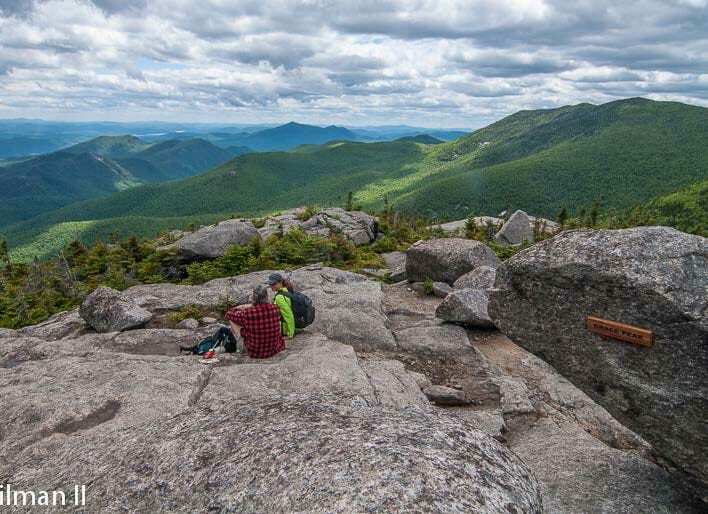 I enjoy the recreational, environmental, and local community coverage that you provide for the Adirondacks. I am writing to you now about a recent incident. A permanent sign was placed on the summit of Grace Peak (formerly East Dix) in the Dix Mountain Wilderness. The sign is a memorial plaque that commemorates the United States Geological Survey changing the name of the peak to Grace Peak. The plaque was placed on the summit by a large group on June 21 of this year. The ceremony was prominently documented via online media. The plaque does not appear to be consistent with the standard signs used in the Adirondacks, and it appears they didn’t have permission from the Department of Environmental Conservation. The sign is attached to a prominent boulder on the summit. A photograph of the sign placement was posted on Facebook. I believe that the sign is inconsistent with the backcountry ethic of “Leave No Trace” and it is in violation of a number of state laws, including prohibitions on defacing a rock; hanging a sign upon state land; erecting structures on state land, and holding an organized event with more than twenty persons. I requested that the DEC investigate this incident, and the department has informed me that it intends to remove the sign. I believe this is the right decision. The high summits of our wilderness peaks deserve the utmost level of protection so that they are preserved for future generations. Placement of permanent structures in such prominent locations should be performed only with the approval of the DEC under the Unit Management Plan process. Though the sign may appear to be rather trivial, it sets a very bad precedent, and attaching a sign to a summit boulder is essentially vandalism.